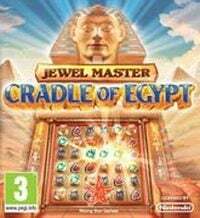 Jewel Master: Cradle of Egypt 2 is a puzzle game produced by Cerasus Media studio from the popular casual Jewel Master series. Jewel Master: Cradle of Egypt 2 is the next installment of the bestseller cycle of logical games. The production of Cerasus Media studio is addressed to the so-called casual (occasional players) and is based on solutions known from the original released in 2011 on PCs. According to the title, the action Jewel Master: Cradle of Egypt 2 was set in Egypt. The player plays the role of the builder of the capital of the ancient world. The creators prepared challenges covering 5 epochs illustrating the development of civilization. The game is based on mini-games, which have been implemented more than 100. First of all, they are in the form of "match-three elements" puzzles. (match-3). The form of enrichment is a variety of logical and arcade tasks. Their completion allows to obtain raw materials and building plans, which can be used to expand the city. The advantage of the game is an interesting historical background. During the game players will learn a lot of interesting facts related to ancient Egypt, its culture, beliefs and everyday life of its inhabitants. However, the educational message is not intrusive and does not obscure the elements of fun. Jewel Master visuals: Cradle of Egypt 2 does not deviate from the first part. Developers, however, took advantage of the advantages of Nintendo handheld consoles, including an additional touchscreen display on both devices, which significantly facilitates control in the game.